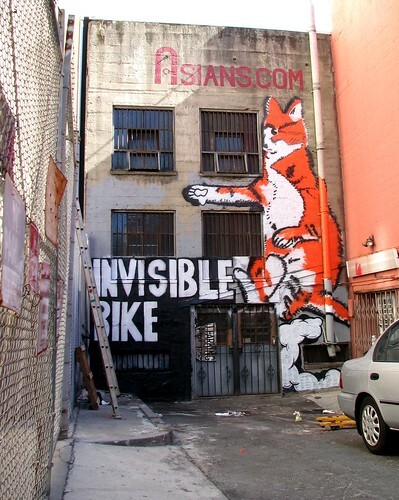 Earlier this afternoon San Francisco artist Josh Zubkoff, with the help from some friends, created what is possibly the world’s largest Lolcat image, an “Invisible Bike” mural painted on the side of a building at the end of the alley on Quincy Street in San Francisco. 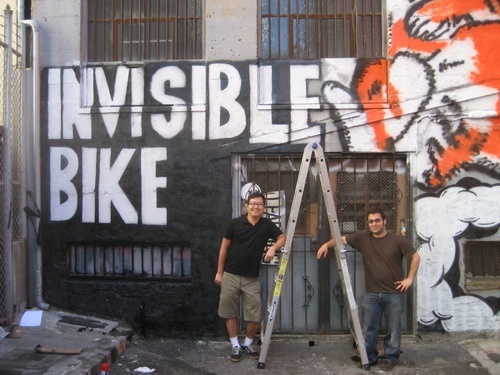 See Josh’s blog for more info on the project, including photos of the mural being created. Ben Huh, who runs the infamous Lolcat blog I Can Has Cheezburger?, was on hand for this historic occasion. 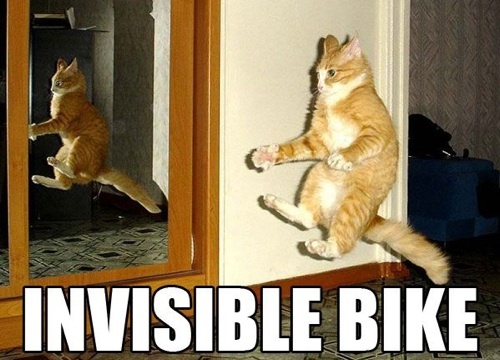 Here’s the original “Invisible Bike” Lolcat image from I Can Has Cheezburger?. 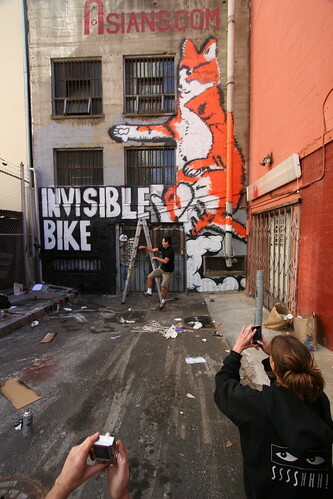 Troy McClure SF shot a great photo of the finished mural as well as a bunch of photos of the mural being created. UPDATE 1: Dogster & Catster founder Ted Rheingold also stopped by with his new “O Hai” Lolplate. 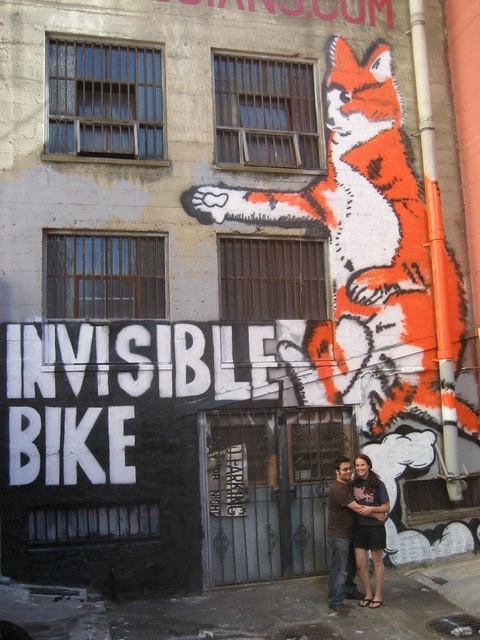 UPDATE 2: Here are more great photos of the mural by Trisha Weir, including one of Ben Huh riding his invisible bike along with the Lolcat mural. UPDATE 3: Here are more photos of the mural by Daniel Quinlan and Eris Stassi. – I Can Has Cheezburger? Thanks to Michelle Clay for the tip!